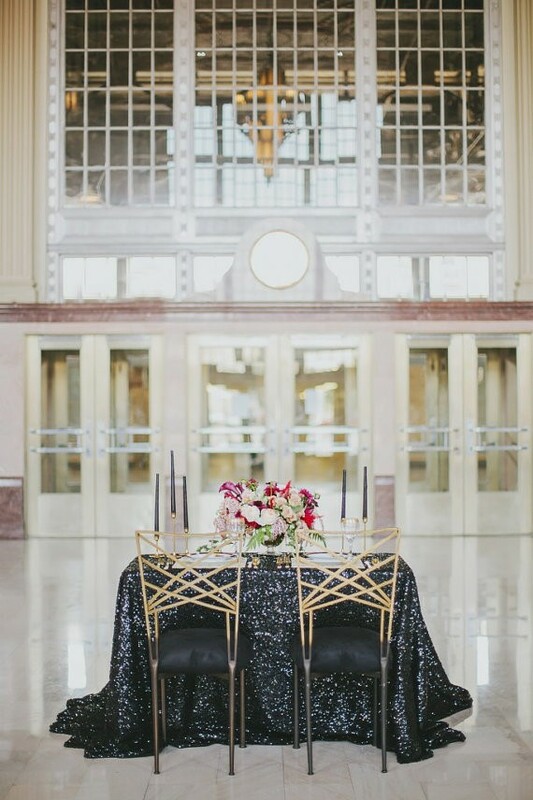 Want to dress up your wedding tables and make them look pretty? So sparkly, so chic, so absolutely gorgeous! Get the details for this exact table linen here! And be sure to take a peek at the full collection here. Oh, and before we forget ... are you on Instagram? Please tell us that you are! Follow us on Instagram for all the best sneak peeks and behind-the-scenes snaps! via CandyCrushEvents // for Vendor Guide info, click here. Here's a few other things that caught my eye this week! So inspired by this Colorful and Creative Backyard Wedding over on 100 Layer Cake! Obsessed with this Peachy Vintage Inspired Wedding over on Storyboard Wedding. Exquisite LDS wedding with cranberry touches throughout? Mark me down for a YES! Oh, and in case you want to see more sparkly linens like the one above? Here you go!